I hesitated to make this post but I feel that I should. Every once in awhile on a diet we feel like we are burnt out, sick of food and thinking about it, planning meals religiously and weighing and portioning food. It gets harder and harder to stay motivated and mistakes happen. I know I struggle with these things from time to time. The ups and downs of dieting can drain the mind and body. I hope this helps. I’ve learned several things in the last seven months. The most important thing I’ve learned is that I am in complete control of my body, my mind and my own fate. In the beginning it felt overwhelming. There are many resources that contain so much information that I couldn’t process it all. I struggled with conviction and staying true to being very low carb. Small victories along the way like pounds or inches lost kept motivating me to move forward. When I hit a six week stall (Yes, six weeks….) I felt like giving up but I persevered through and began to lose weight again. By sheer determination I continued to succeed even when I didn’t have any observable achievements to motivate me. It was that realization that confirmed I was stronger than I knew. I created this blog to simply life for newcomers to keto. I wanted to be able to give my audience small samples of easy things to make that have helped me be successful at losing weight. I struggle with calling my posts recipes because they really aren’t. I quite literally make myself something to eat, take a picture of it and share how I made it. My family is full time everything and most days we don’t have an hour to make dinner. I want to leave you with a personal victory of mine. Hopefully it will offer some inspiration to those of you who are struggling or about to give up. Maybe some inspiration for someone trying to start. It took me a lot of courage to put this here but I know it will help someone. 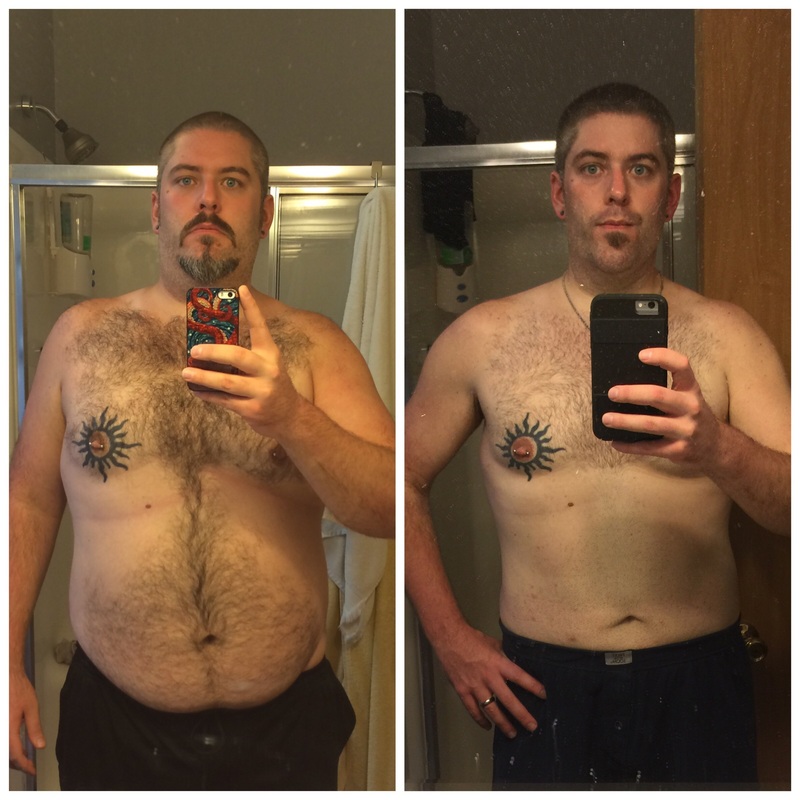 Here it is – seven months on keto, 13.5 inches lost from my waist and 65 lbs gone from the scale. So no matter where you are in your weight loss journey keep going. There will be highs and there will be lows. You’re in this to make a positive difference in your life and you are strong. Until next time keto on.